Taking its trigger from a review of their critically acclaimed "The Blossom Filled Streets"‚ "The Sand and The Stars"‚ is intended to sound like "a jazz record being played from across the bay". 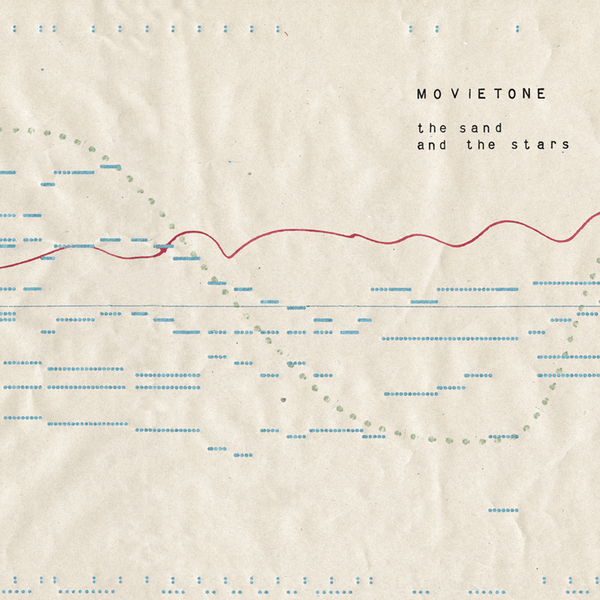 Which is how Movietone came to find themselves carrying a double bass down a cliff, in the dark. Nina Simone, Jefferson Airplane, The Carter Family, The Band and Sandy Denny are all cited as influences on "The Sand and The Stars", but inspiration in their approach comes from the field recordings of the late producer Alan Lomax, with Movietone moving beyond the studio and out on location to Cornwall for much of its recording. Movietone hail from the same Bristol scene that saw fellow experimentalists Flying Saucer Attack and The Third Eye Foundation flourish. Having re-issued their self-titled debut earlier this year, this is Movietone's fourth album and their first new material since 2000's "The Blossom Filled Streets".